With the season’s changing there is a new bold look on the horizon. 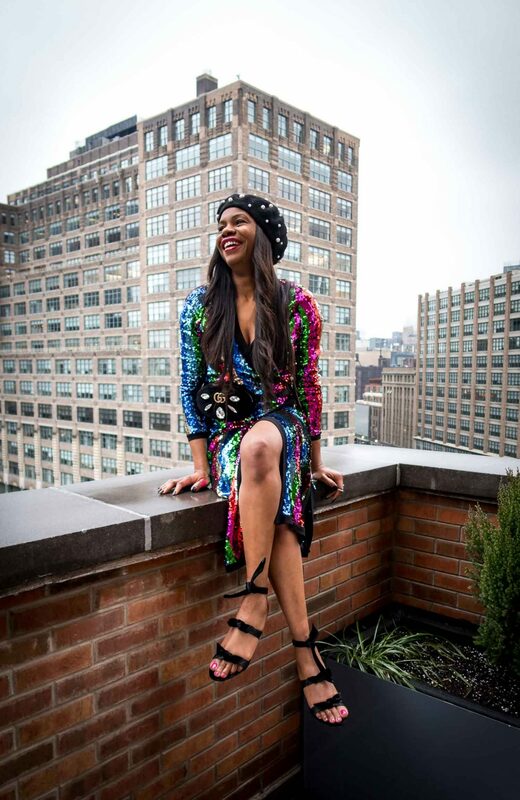 The rainbow trend is an instagram, and everyday-girl favorite. It is definitely a style not to ignore. The combination of multiple colors can come across as a little intimidating. In order to overcome that color shock and make this look work into your everyday, and special occasion style, simply pair the multiple colors with slightly tone-down dominant colors. This trend is all about the effect of combining multiple colors, hence you don’t want to take away from the allure of the combination. 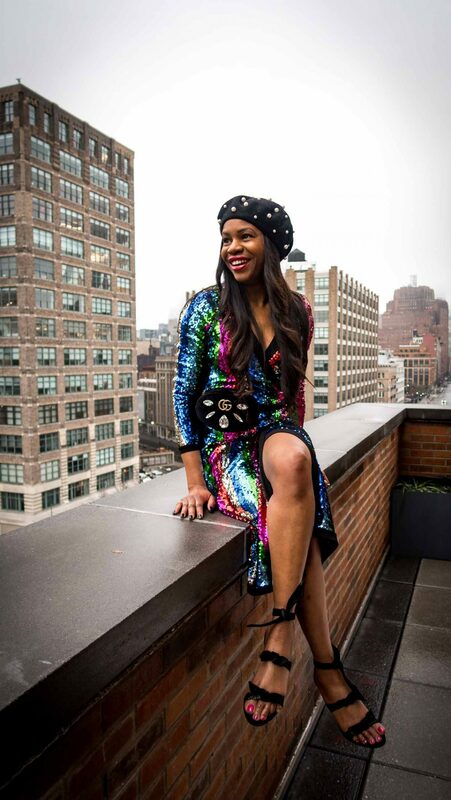 However you want to pair your rainbow dress with colors like black that will tone it down without taking away from the beauty of the rainbow pattern. If black is not present in the color-pattern of the rainbow, then pair it with one of the more dominant colors in the dress. Black is the first color that catches your eye in my rainbow dress. Because the black in the dress is the most influential, I use the black to compliment the look. The beauty of these style-tips are that you don’t have to only apply them to a rainbow dress. This trend works for all articles of clothing and accessories that feature this color combination, so give it a try. 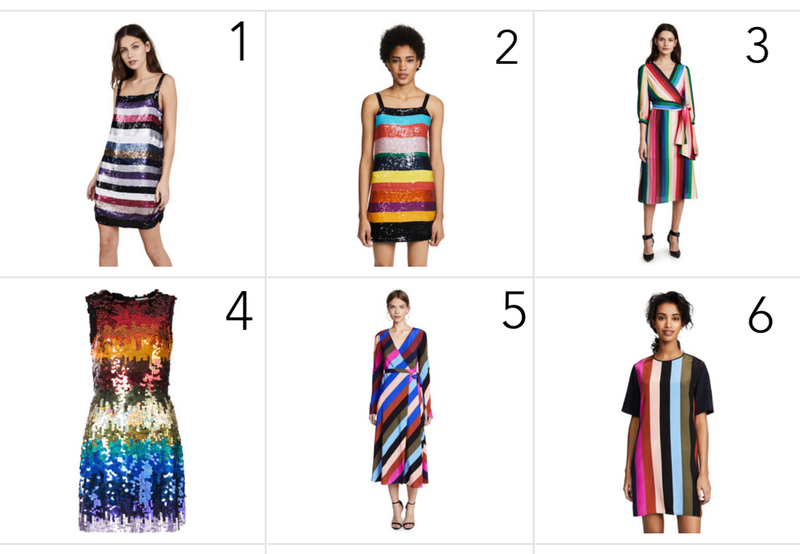 SCROLL DOWN TO CHECK OUT 6 COOL-GIRL RAINBOW DRESSES YOU NEED NOW!